I received this as a prize from a Twitter competition held by the lovely Danniella who you can find over at Beauty in Japan. ’We Are All Perfectly Imperfect. The world isn’t perfect. But who wants to be perfect anyway? I’mperfection is an open invitation to stand up and show the world what makes you perfectly, imperfect. We want you to highlight the features other brands encourage you to cover up and celebrate your imperfections like badges of honour. 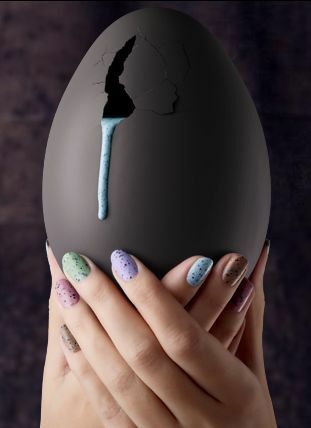 The nail varnishes create a ‘speckled’ effect on the nail which does look very similar to Cadbury’s Mini eggs. 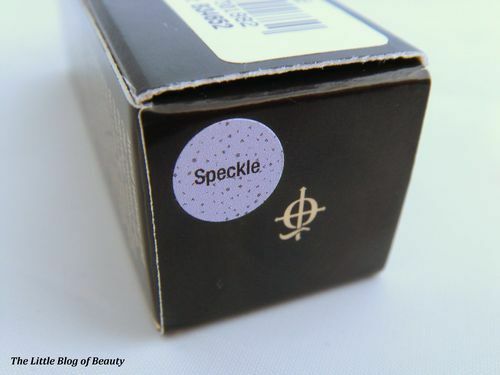 The shades available are Mottle (green), Fragile (blue), Scarce (pink), Freckle (neutral) and finally Speckle (lilac). I’m not usually a fan of pastel nail varnishes however I do love this effect. The varnish contains loads of tiny dark flecks as well as larger pieces, i’m not sure what to call these as they’re not pieces of glitter. One of the best things about this effect is that it’s quick and easy to achieve (you literally just paint it on) and each nail will look different. The pictures above show one coat (top picture) and then two coats with a top coat on top (bottom picture). You could add more coats if you wanted to add more ‘speckle’ to your nails. When it comes to removing this it’s not as difficult to remove as full glitter nail varnish (hurray!) 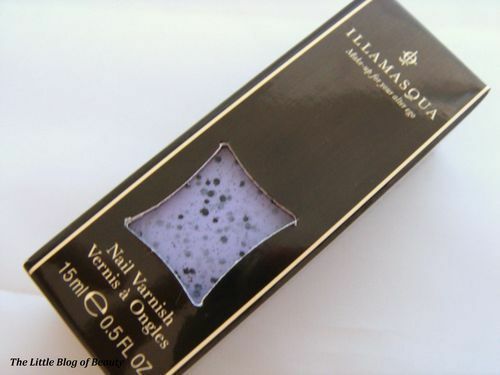 but it is slightly more difficult then removing standard varnish because the large pieces stick to your nail. It may be easier if you have applied a base coat but I couldn’t apply one as mine has gone off and I had to throw it away. I wouldn’t recommend using a dip in remover as obviously this would leave the little pieces in the pot. 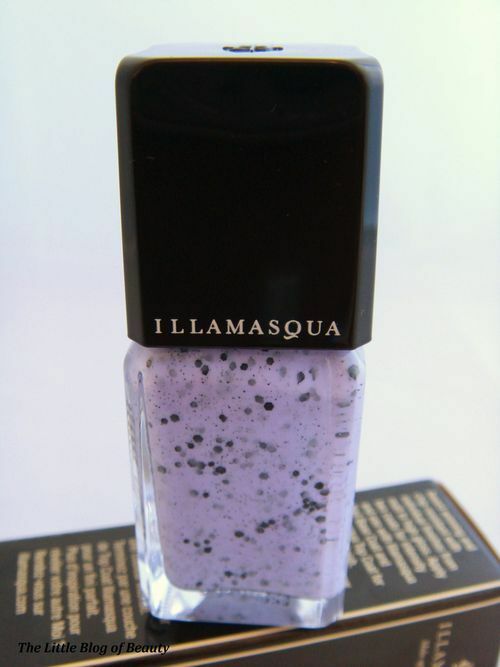 Illamasqua I’mperfection nail varnishes cost £14.50 and are available from the Illamasqua website and through Debenhams, Selfridges and ASOS.